I never thought I'd say it, and I am fully prepared for the Beygency to come and hunt me down for even insinuating there could be a second coming of a new queen, but if the American Music Awards nominations are an indication, Iggy Azalea could be our next queen. Maybe there could be two queens? On Monday morning, the nomination list for this year's AMAs — which will take place November 23 — were announced, and Iggy Azalea scored the most nominations, with six across the entire award show. Beyonce was nominated for three. Azalea was nominated for Artist Of The Year, New Artist Of The Year, Single Of The Year, Favorite Female Artist Pop/Rock, Favorite Artist Rap/Hip-Hop, and Favorite Album Rap/Hip-Hop. She is up against Beyonce in the Artist Of The Year, while Beyonce is additionally nominated for Favorite Female Artist Soul/R&B, and Favorite Album Soul/R&B. So what does this all mean for Iggy's bright future? Well, first, Iggy definitely has a leg up over Beyonce when it comes to the nominations. For starters, she is capable of being nominated for the new artist award. Obviously, Beyonce, is not eligible to be nominated in this category, since she has been active in the industry for about eight years longer than the category has even been around. In addition to the new artist award, Iggy is categorized in two different genre categories, which helps her score more nominations. And she totally deserves those cross genre noms, especially because she is the only woman nominated for the Rap/Hip-Hop category. Go Iggy! In recent award shows, it has been all about the Bey. And I can't blame producers of the shows. She is what sells, and who will get viewers talking/watching. It was a huge year for Beyonce. She released her self-titled album in December of 2013, and she had an incredible tour with her husband three months, which culminated into the HBO special "On The Run," which, in my opinion, was amazing. I cried during "Forever Young/Halo" compilation. 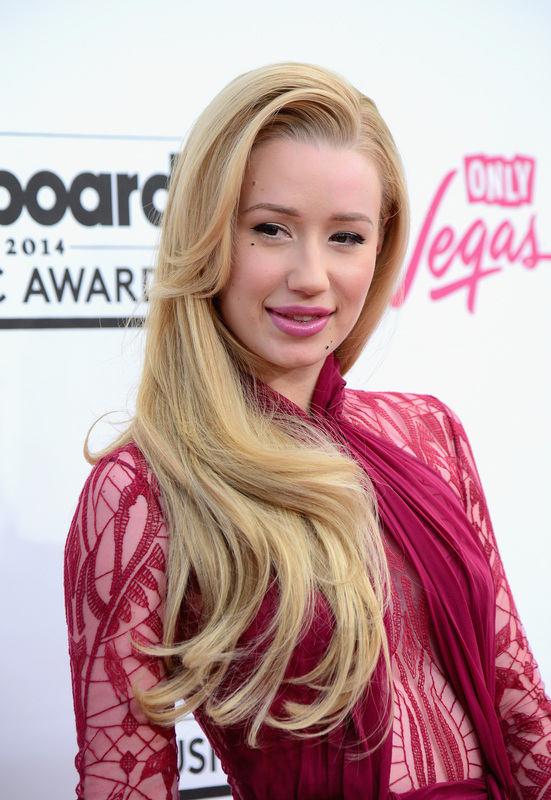 With that said, besides Ariana Grande, no one had a bigger "breakout" year than Iggy Azalea. While I don't think Beyonce's reign will go anywhere, this is refreshing to see someone else get their much deserved spotlight. There is no doubt that Iggy is talented and entertaining, and there is no doubt that she deserves the nominations, and — I think — the wins in her respective categories.